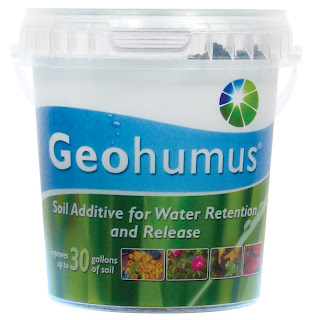 Want to try Geohumus® -- a completely different “water-holding” polymer product from any other on the market? It's all natural and made from volcanic rock & organic polymers. Unlike slimmy, chemical jelly absorbents, plant roots are really attracted to these organic ingredients and readily absorb water from Geomumus when they need it. The sponge-like granulate is odorless and retains its structural stability in the soil together with its high water absorption and release capacity. The key benefit of Geohumus® is that it provides more plant available water over an extended period of time, compared to soils without Geohumus®. And it's very easy to apply. 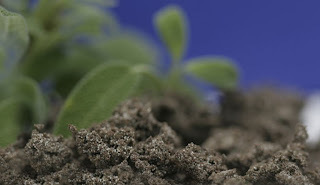 In addition to having better water holding and release characteristics, its natural minerals can have a positive effect on soil condition properties and overall plant health. It is manufactured in Germany where it's won numerous awards. Contact Garden Media Group for samples.